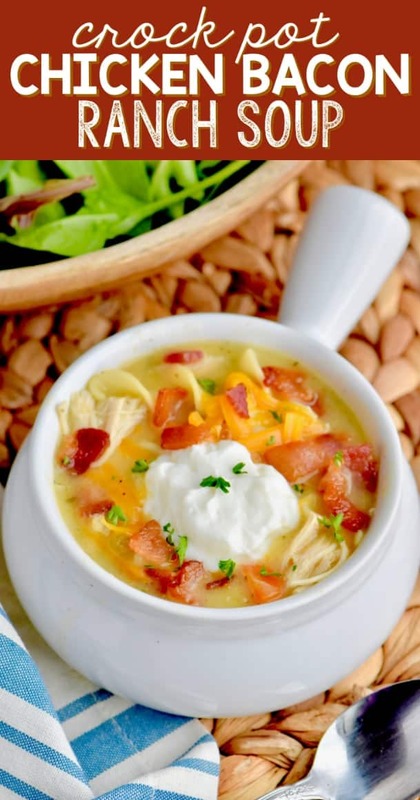 When life gets crazy, make this Crock Pot Chicken Bacon Ranch Soup! This soup takes so little time to make, but is delicious, creamy, and packs a flavor punch. 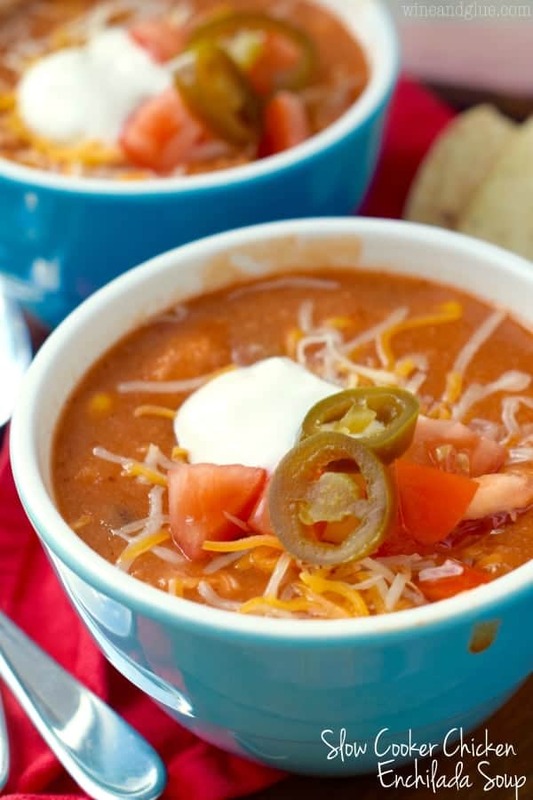 This soup goes great with some salad and a some fast easy biscuits! One of my very favorite things is other bloggers. I know that I’ve totally talked about this before, so I won’t bore you guys to tears today, but I just love talking to other bloggers. They get my weirdo life and they make me laugh myself exhausted every single time. So, today I am at a blogging conference and need to get back to laughing my pants off, but first I need to talk to you about this amazing crock pot soup. 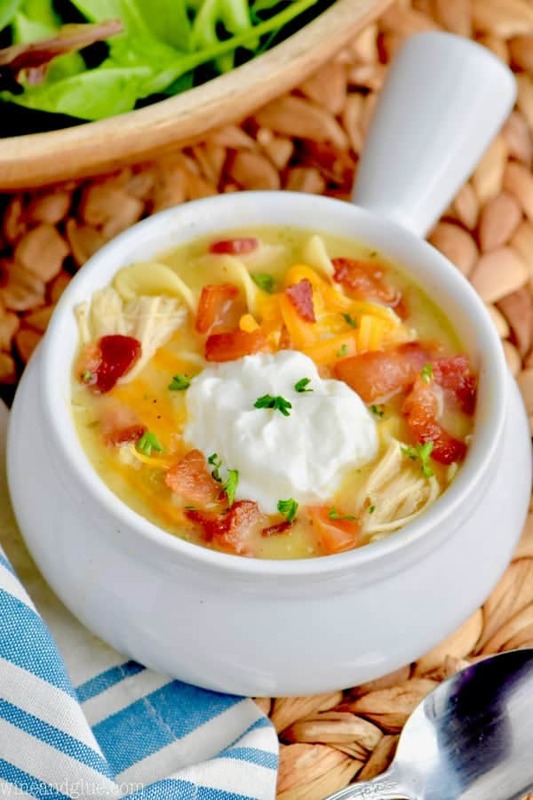 This creamy, delicious amazing slow cooker soup is an older recipe that is getting a face lift and a revamp. I made this soup easier and faster, BUT! I kept the bacon. 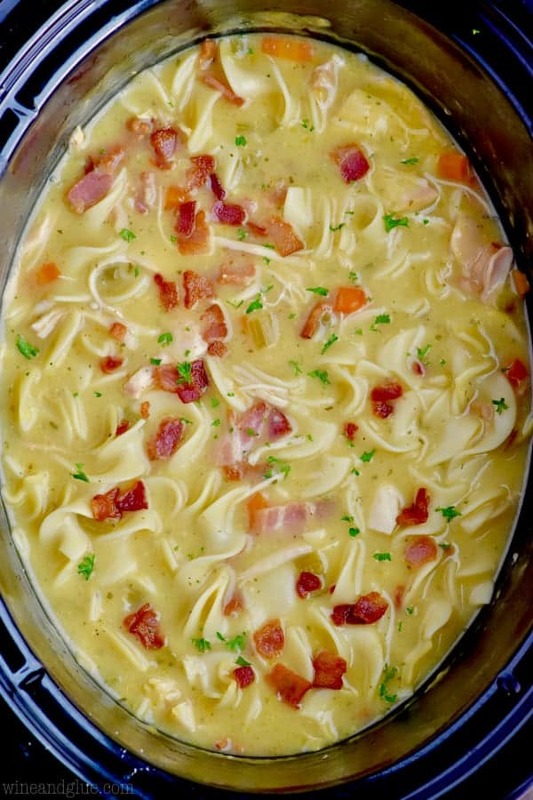 HOW DO YOU MAKE A CREAMY SOUP IN THE CROCK POT? Okay, so there are a couple ways you can do this. For years and years, I would cook my crock pot soup with just stock and then stir in some heavy cream at the end. You guys, this works. It really does. It gives you some creaminess, it is easy, and it’s fast. But, it doesn’t have the same level of creaminess that you might want. Recently, I tried creating a roux outside of the slow cooker after the soup was mostly done cooking with this Slow Cooker Broccoli Cheddar Soup. It worked very very well, people are leaving great reviews on that recipe. So that is totally a way to do it, but I think creating a roux is tricky if you are new to cooking. 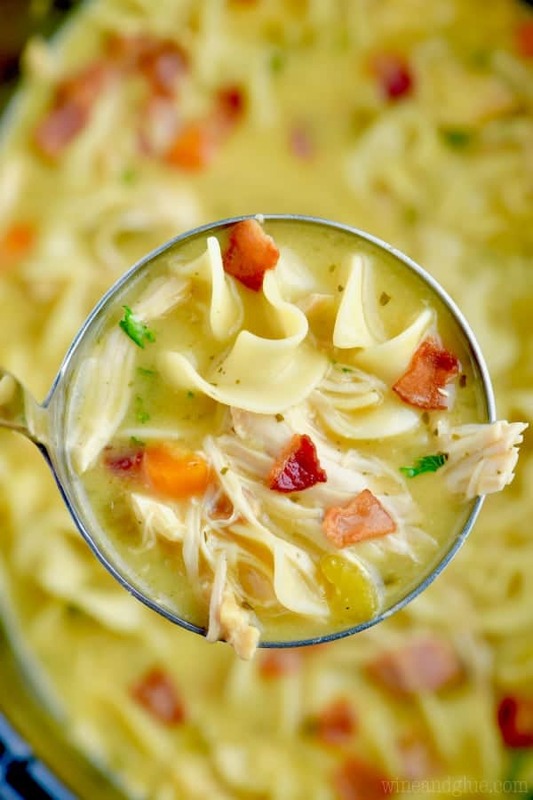 This soup uses cream of chicken condensed soup. So it’s absolutely crazy easy and comes out perfectly creamy. You are going to want to ladle it up over and over. 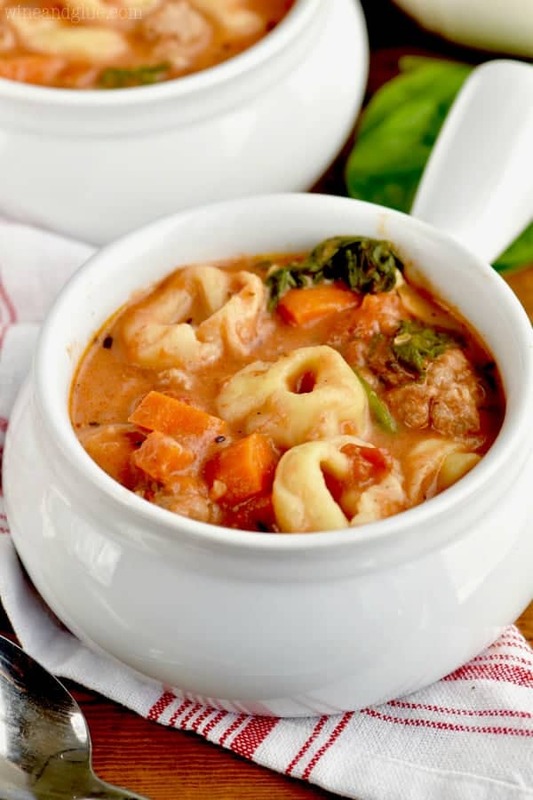 The flavors in this soup go perfectly well together. Ranch and bacon were made to go together. This is like chicken noodle soup on crack. It’s on a new level and plane of existence. 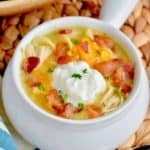 WHAT CAN I SERVE WITH SLOW COOKER CHICKEN BACON RANCH SOUP? 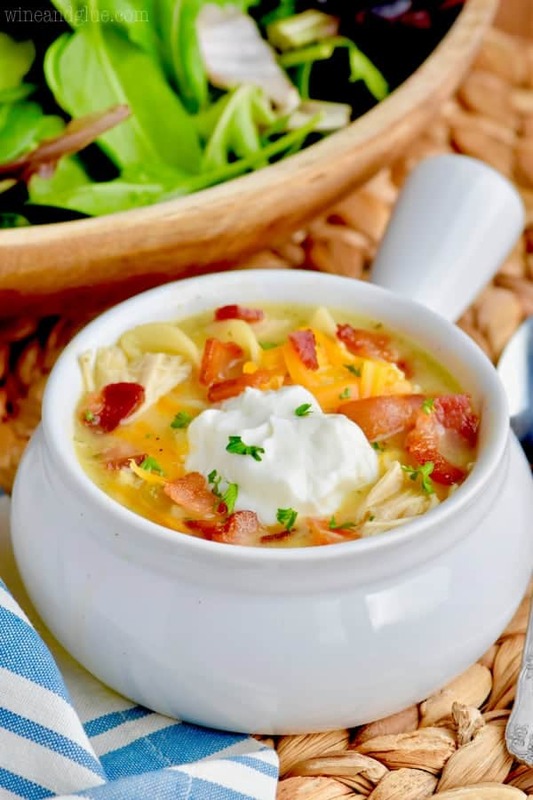 When life gets crazy, make this Crock Pot Chicken Bacon Ranch Soup! This soup takes so little time to make, but is delicious, creamy, and packs a flavor punch. 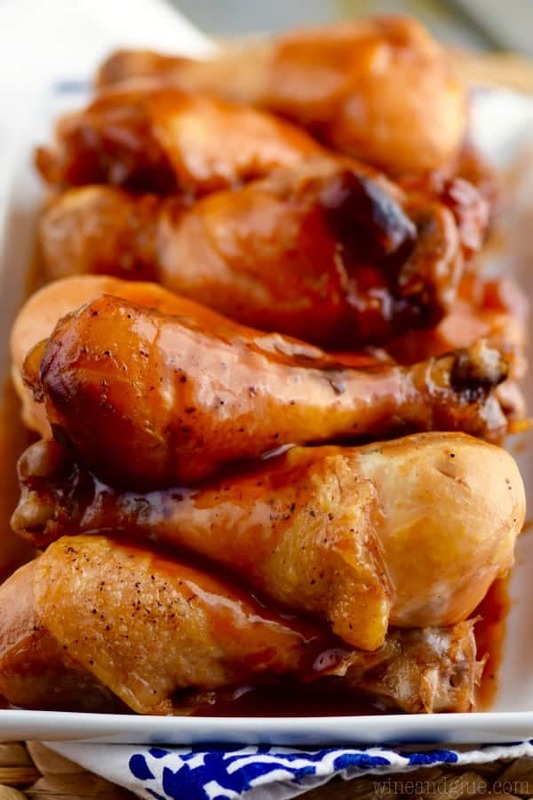 Combine the condensed chicken soup, chicken stock, water, celery, carrots, chicken, and ranch seasoning mix in a crock pot. Cook on high for four hours or on low for eight hours. Add the egg noodles to the crock pot and cook on high four 30 minutes. While the egg noodles are cooking, cook the bacon. Stir in at the end. Serve and enjoy! Oh, that soup looks delicious! And baby weight be damned – you’re only 6 months post partum! Enjoy all of this time with Piper as a wee babe, and playing and making messes with your gang. 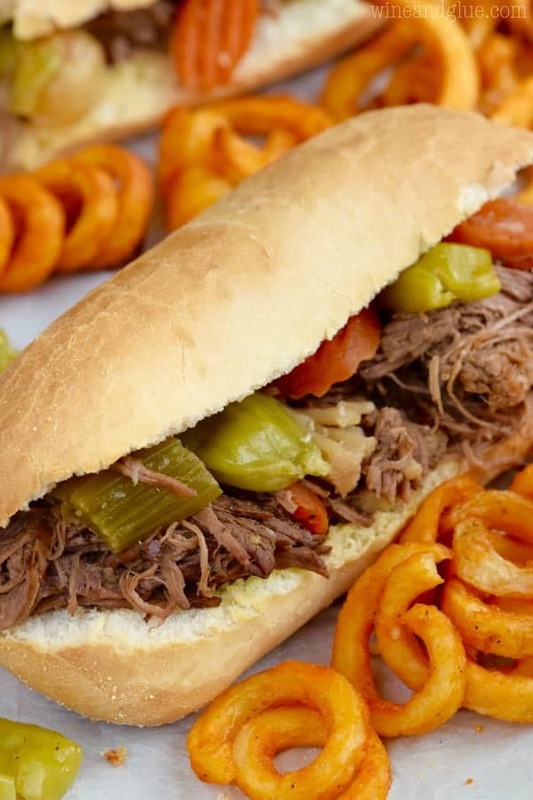 I’m pinning this recipe. Mr. Suburble would be all over it! Really? It takes only 3 hrs to cook that breast? If I was going to double it, and used 3 breasts, would I still just do 3 hrs? Mine really only took three hours Sarah, but all crock pots are different, so proceed with caution. If I was doubling the recipe in my crock pot, I would add an hour. After cooking for eight hours on low was very pasty. Adding the noodles made into a chicken casserole. I added more chicken stock but still was not soup. Are you sure on the amount of liquid you use? I am so sorry that this soup didn’t work out for you. I am sure on the amount of liquid. Did you happen to use only one can of cream of chicken soup instead of two?